If you are from HR and looking for a free PowerPoint template to train employees, then you have come to the right place. 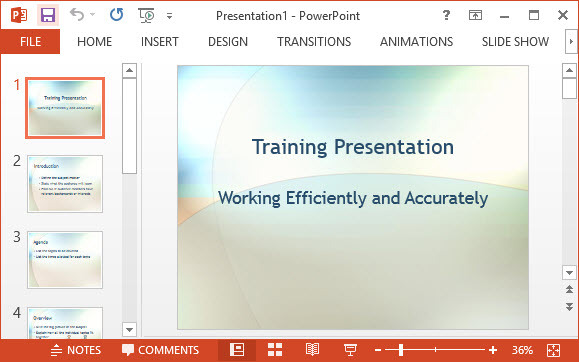 This article provides an overview of the free Employee Training PPT Template. You also get its download link at the bottom of this article. Read on to find out the compatibility and much more! Who Should Use the Free Employee Training PPT Template? This template is not only useful for the Human Resource department of established companies but also emerging businesses, such as SMEs (Small and medium-sized enterprises) and startups. 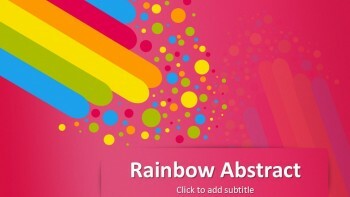 This means that it has a basic layout and color theme, designed for the workplace setting. Ensure your online staff is working efficiently and accurately, by training them using this free Human Resource Management PPT theme. 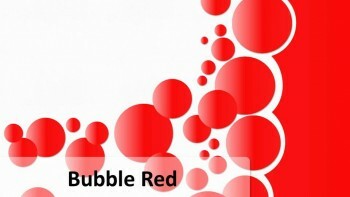 Young Entrepreneurs who run online workplaces find it convenient to use presentations as a means of employee training. 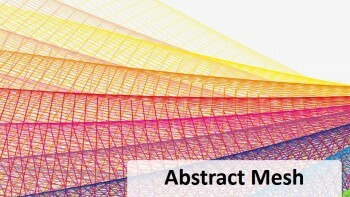 The title slide has a simple and formal background. Its layout features two placeholders to mention the training course title. Add a new placeholder beneath, to display the name of the presenter. 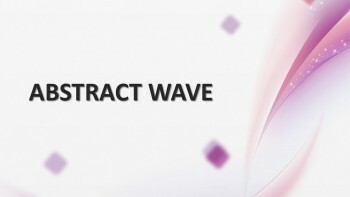 The title slide is followed by 8 sample slides with customizable layouts. 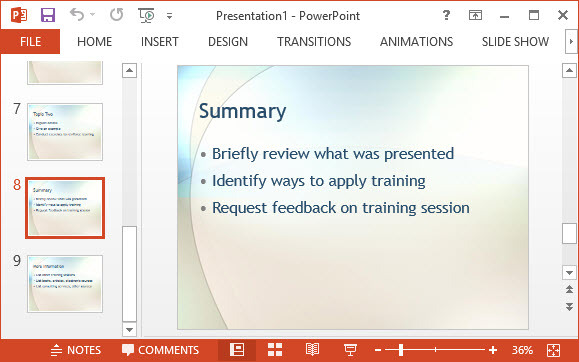 PowerPoint gives you the option to add voice and video notes in each individual slide. Next three slides give the introduction, agenda and overview of the training. The remaining slides give the vocabulary, summary, and more information. 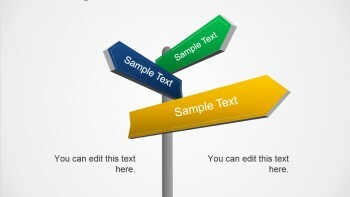 Customize the slides according to the requirements of your presentation. Add diagrams and pictures for a better understanding and illustration. 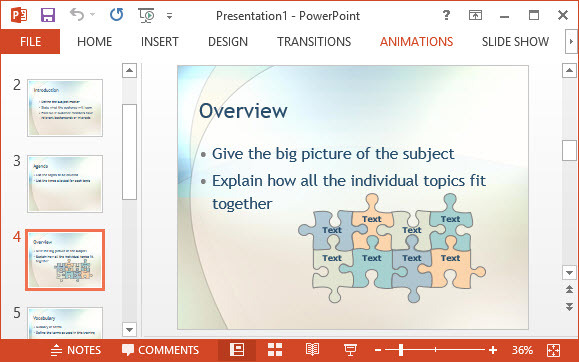 The overview slide shown above has a combination of shapes linked together, just like the pieces of a puzzle. Each shape is modifiable and contains a text placeholder to write down the individual topics of the training. Start training the staff by downloading free Employee Training PowerPoint Theme. It is in .pot format, which is compatible with Microsoft PowerPoint 97 and later releases. (latest and previous releases).